The arrival of tourists to the Cuban beach resort of Varadero, the main pole of sun and beach of the island, grew 6 percent at the end of last April, reported on Wednesday the Ministry of Tourism (Mintur by its Spanish acronym). Canada held the lead as the largest source country of visitors to Varadero with about 44 percent of visitors, followed by Germany , said Ivis Fernandez, representative of the Tourism Ministry in the western province of Matanzas (where the seaside resort is located). Cuba expects to surpass this year the record number of foreign tourists and revenues reached in 2014, when it welcomed more than 3 million visitors and achieved revenues of 2,700 million dollars, according to data released at the International Tourism Fair "FitCuba" held this month. 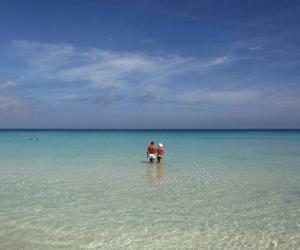 International tourism is the second source of income in Cuba behind professional services.